I'm still knitting scarves. I've been working on these in the evenings while sitting with hubby in front of the TV. I've got the fifth scarf started. 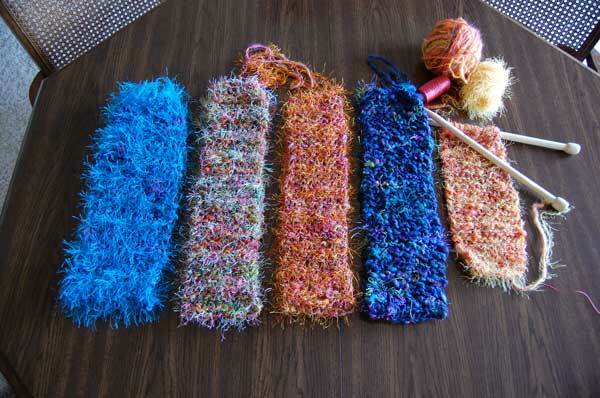 I really like knitting with the large knitting needles. All of these scarves include yarns that I spun myself...along with some novelty yarns mixed in. I really enjoy knitting with my hand spun yarns and making the yarn into scarves is perfect since the hand spun yarns aren't enough for a large project. 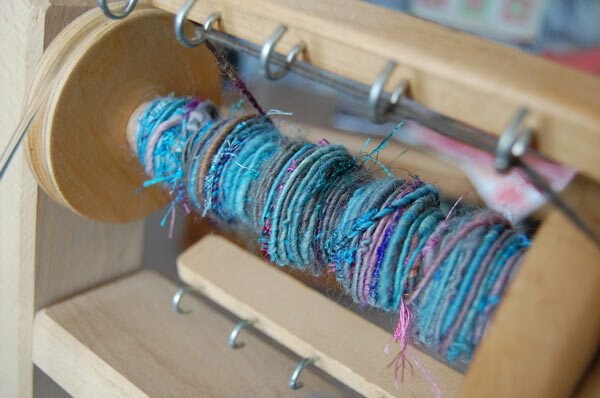 I've even gotten inspired to start spinning again. My spinning wheel was collecting some dust and I actually think the last time I used it was last winter. Here is what I am currently spinning.